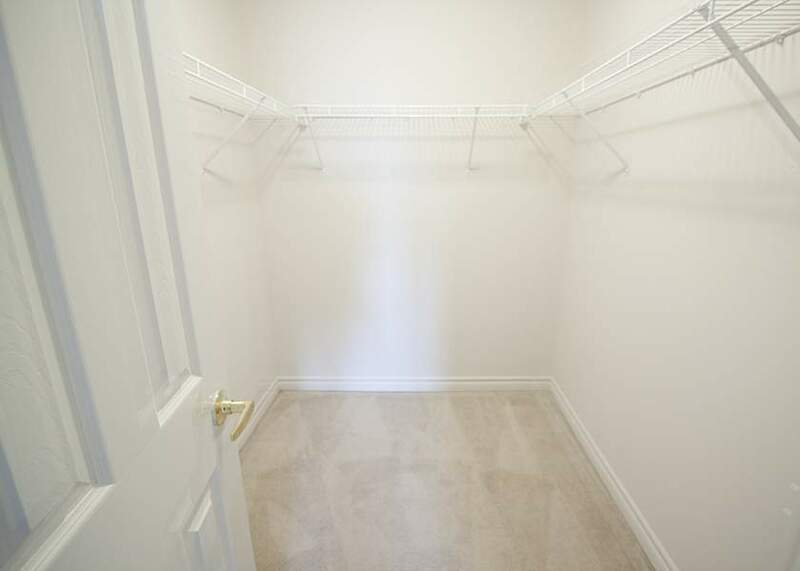 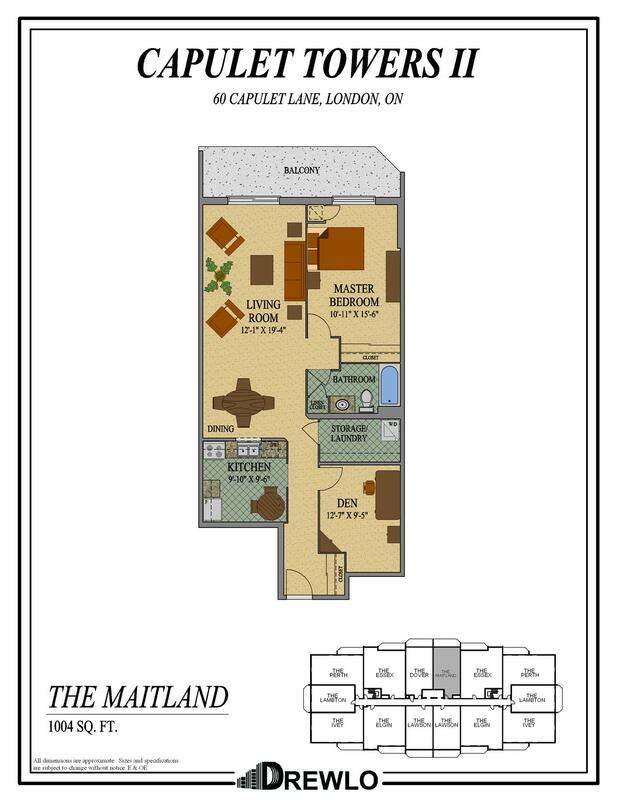 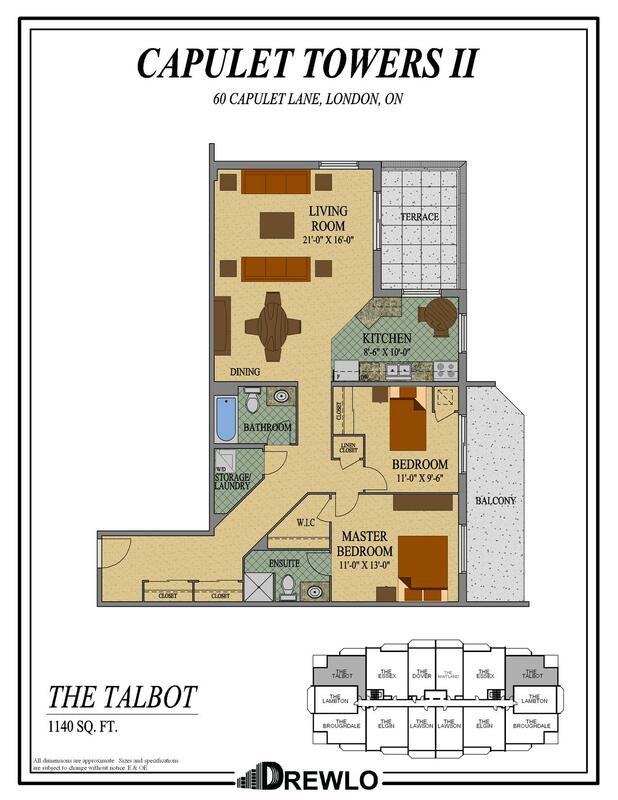 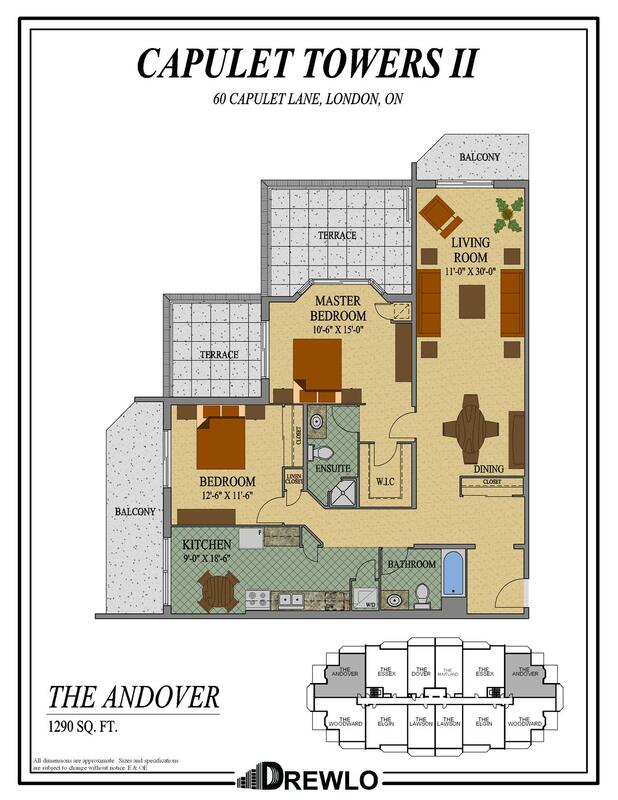 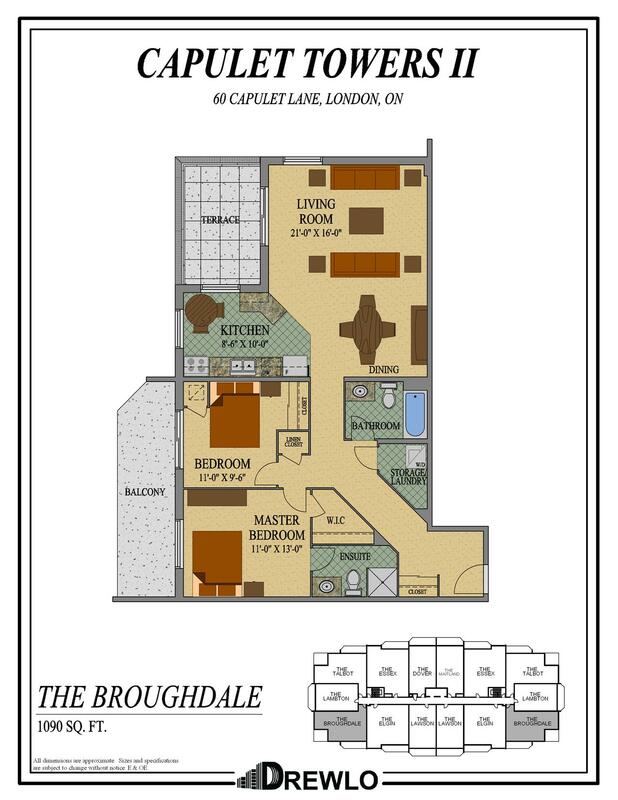 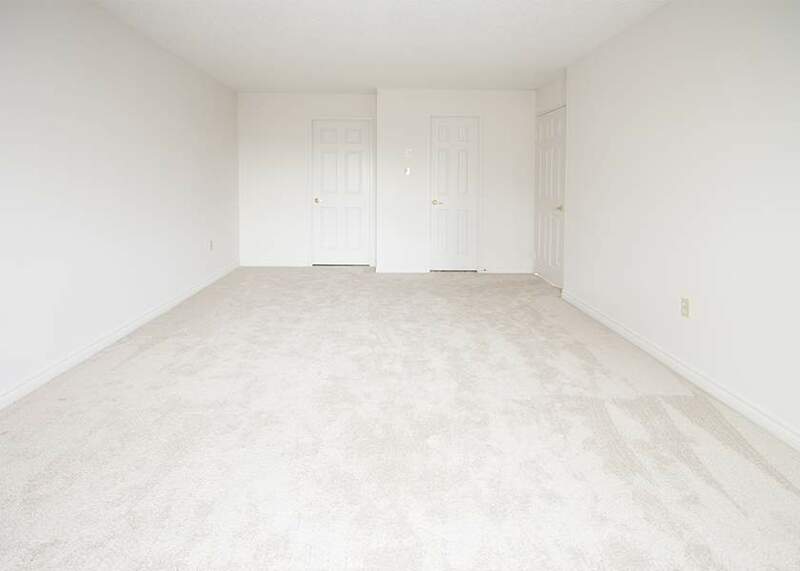 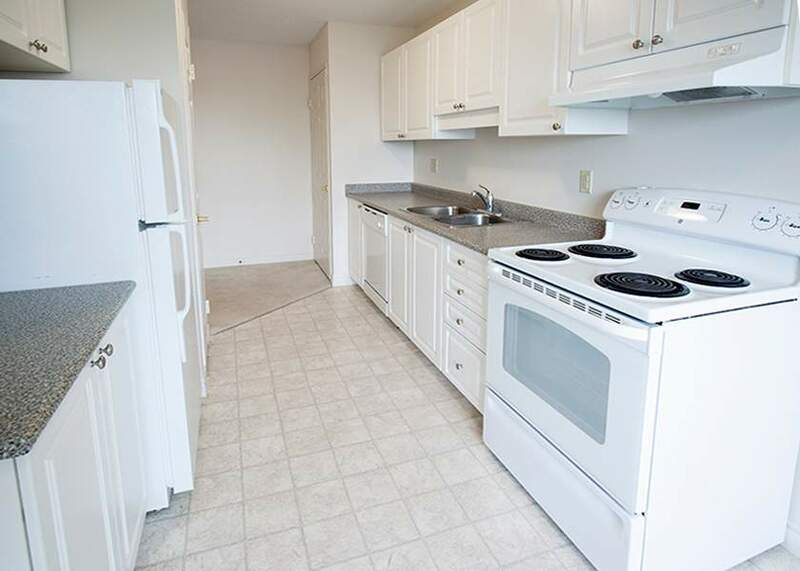 If you're looking for Apartments for Rent London Ontario, consider the spacious one and two-bedroom suites and top-quality amenities offered at Capulet Towers II. 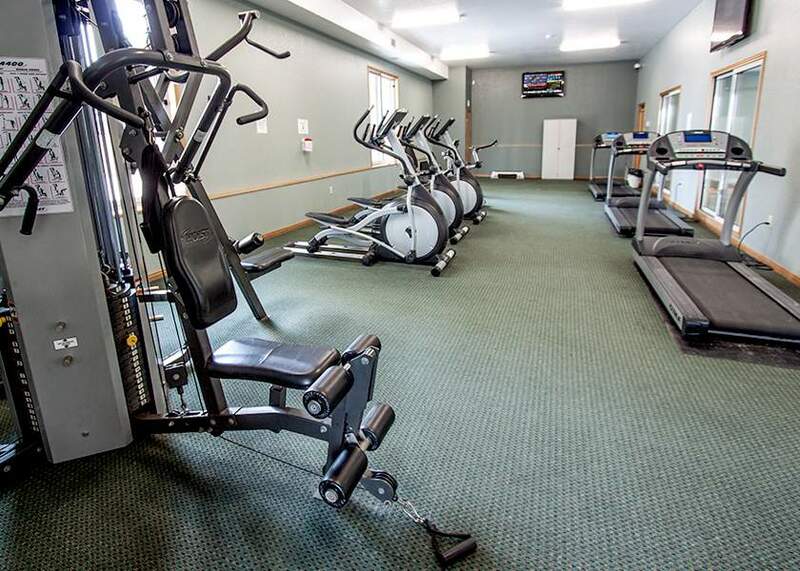 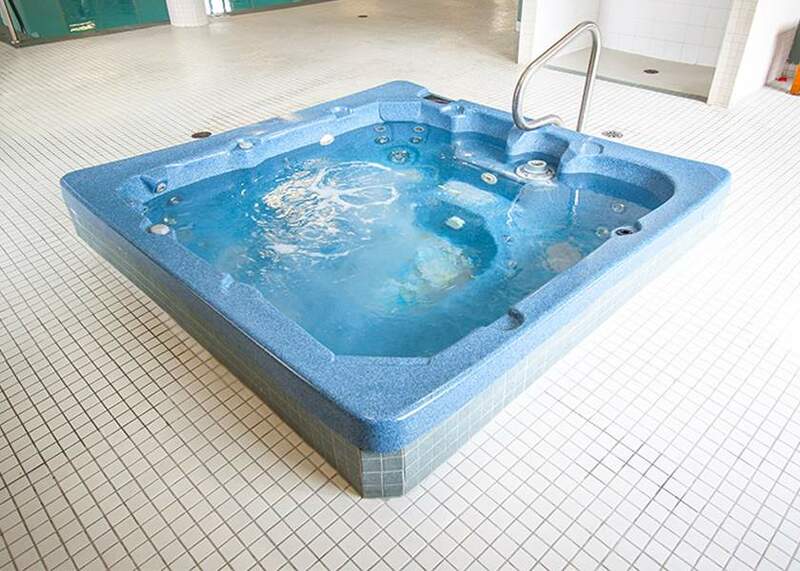 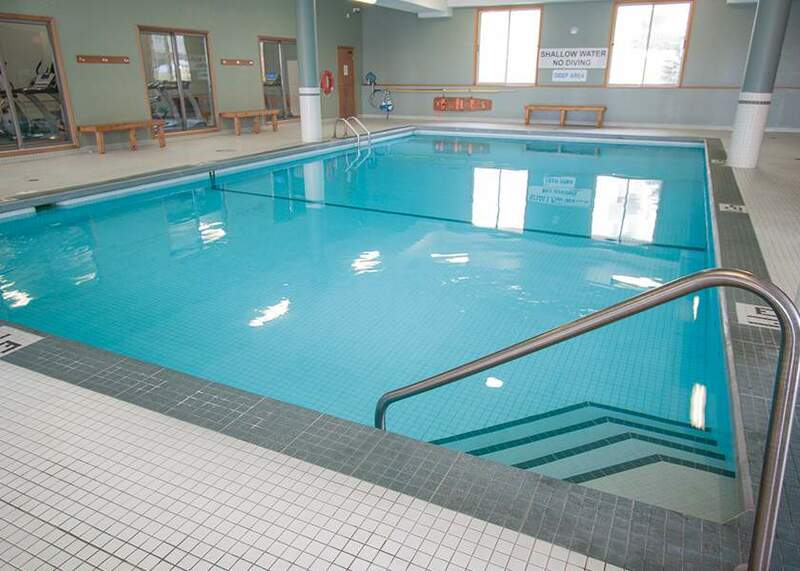 As soon as you step inside, you'll want to enjoy the cozy and well-appointed lobby, the fitness centre, indoor pool, hot tub, and sauna that are waiting for you on the main floor. 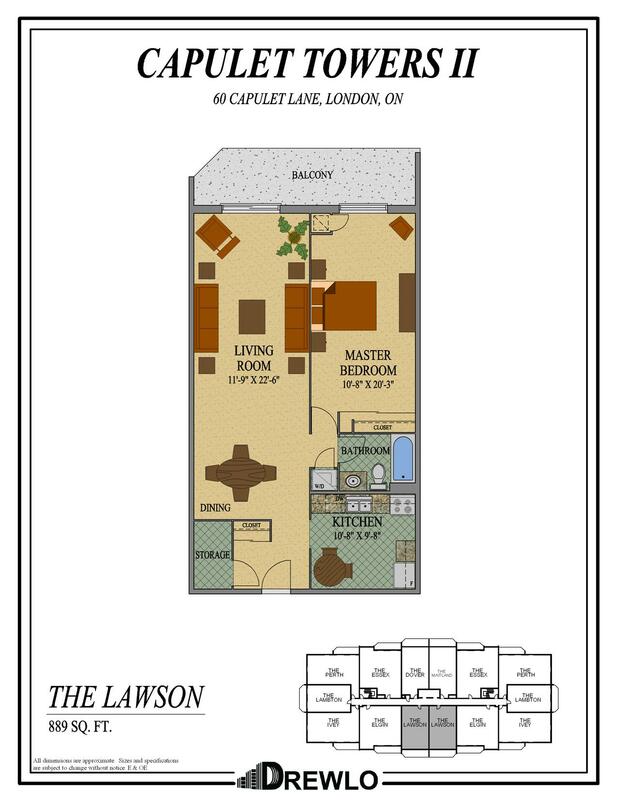 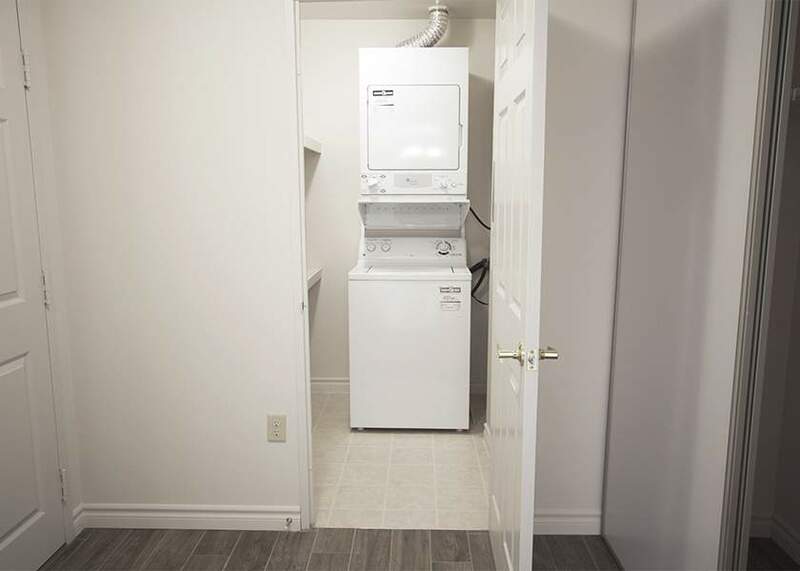 We are proud that our Apartments for Rent London Ontario offer this many amenity options to our tenants, and we go the extra step by offering 12 unique and spacious floorplans between our one and two-bedroom suites. 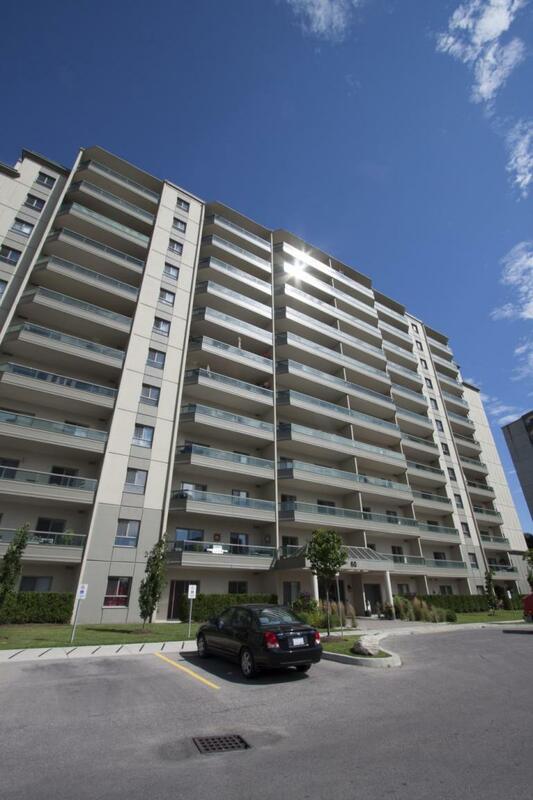 offers countless local amenities, from groceries, pharmacies, athletic centres, to salons & barbershops, all within easy walking distance. 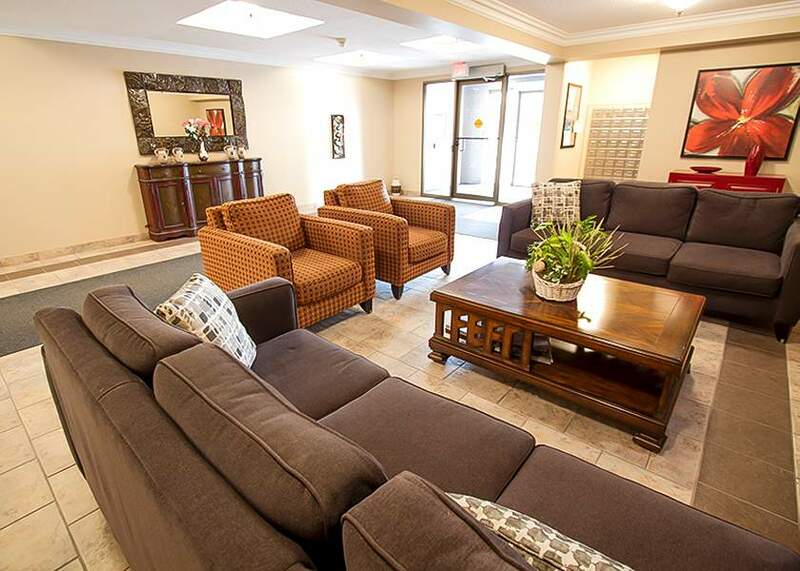 The dozen restaurants nearby offer you a wide variety of cultural dishes and experiences to try, as well as traditional and well-known dining options just a short walk from your door. 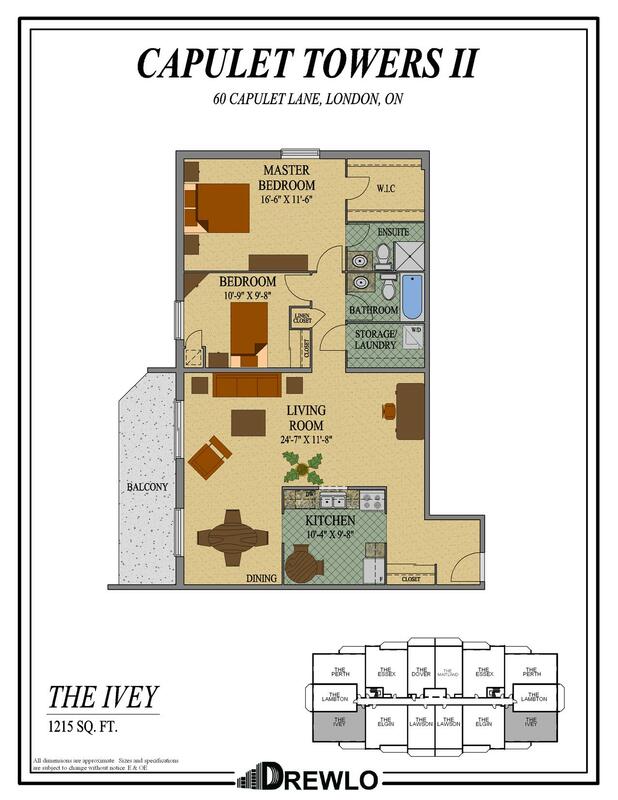 You'll have everything you need just using the shopping within walking distance of your home, but there's still easy access to other shopping centres (Masonville Mall & Sherwood Forest Mall) in London if you want a change of scenery and different options. 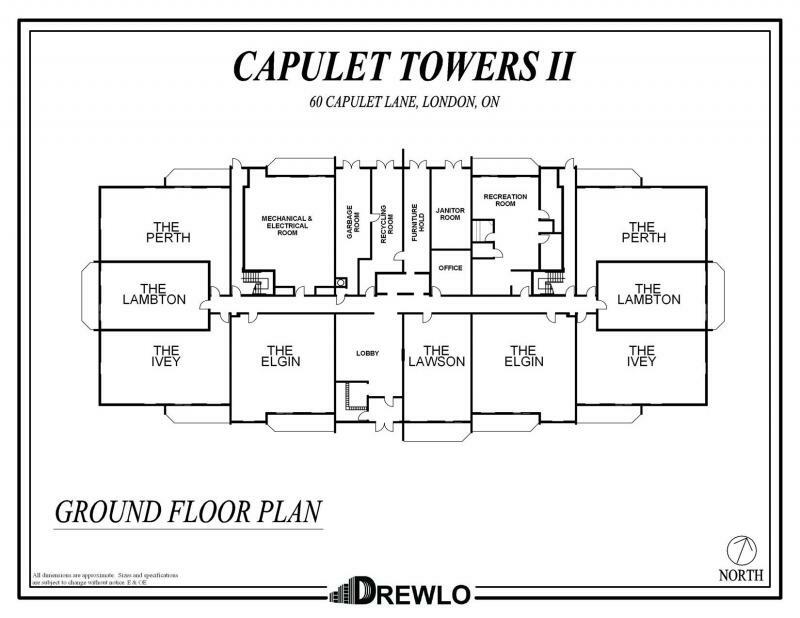 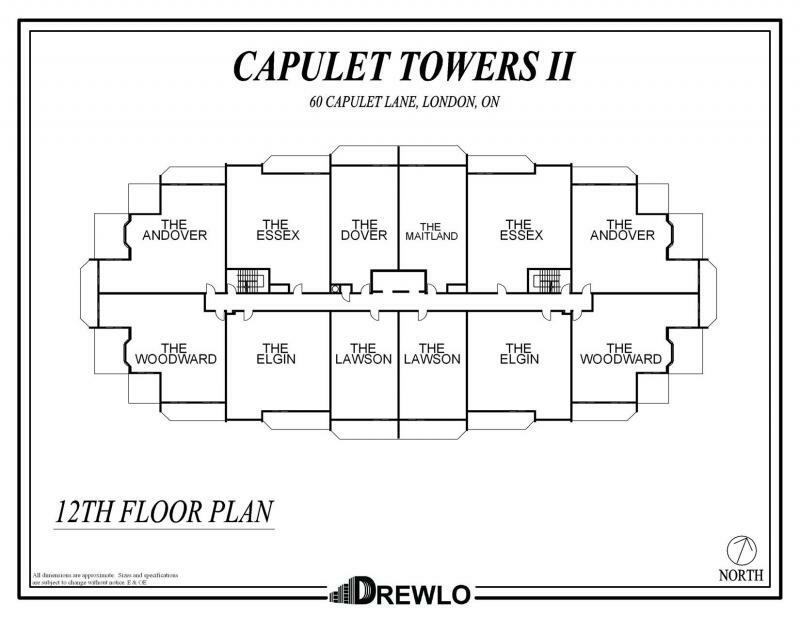 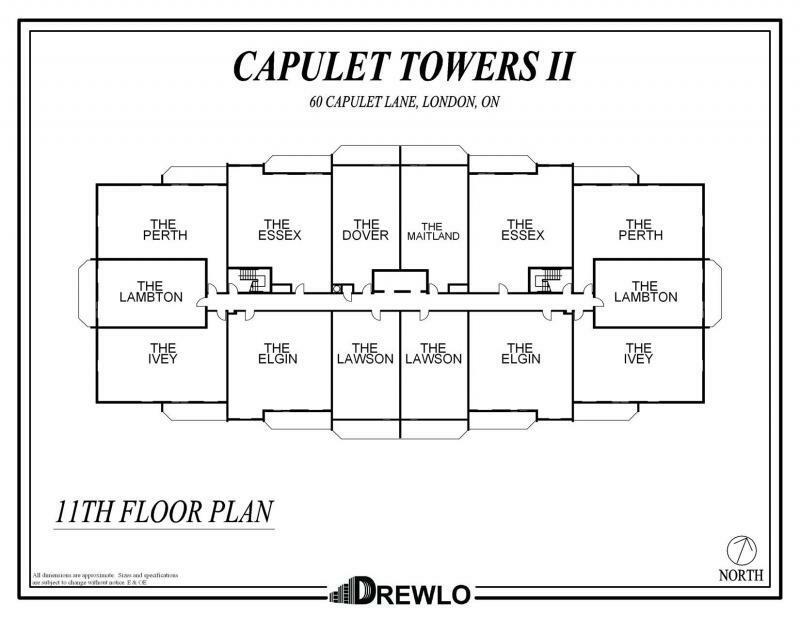 Capulet Tower II's proximity to Oxford and Wonderland bus stops opens up all of the city for you to explore and find the incredible places to go and things to do throughout the city of London. 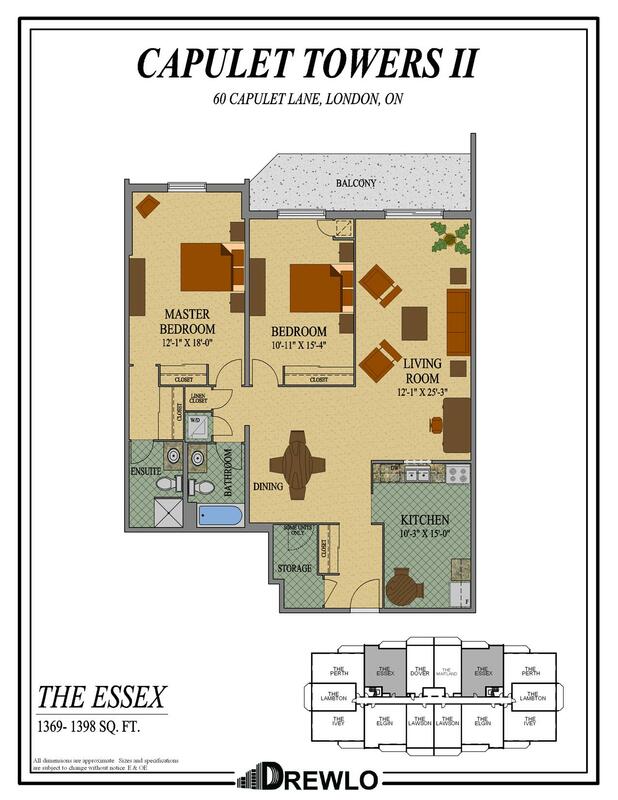 If public transit is your top way to get around, this rental apartment has three routes nearby to get you around London easily. 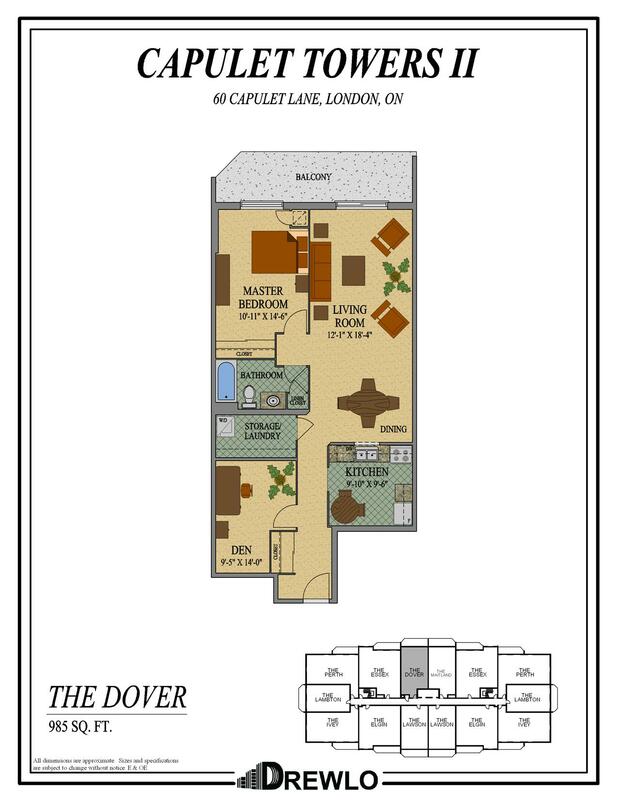 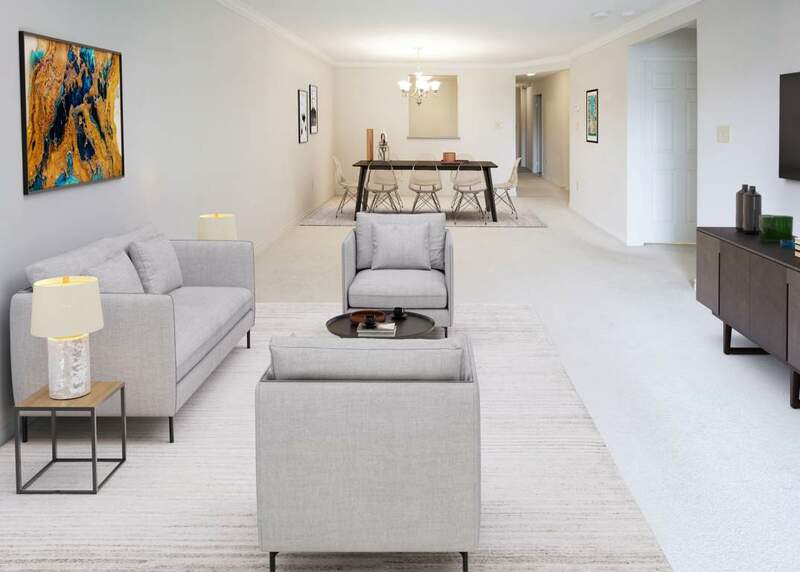 Capulet Tower II is fully wheelchair accessible with attention to detail and extras in every suite, including air conditioning, walk-in closets, in-suite laundry, and are always cable and internet ready. 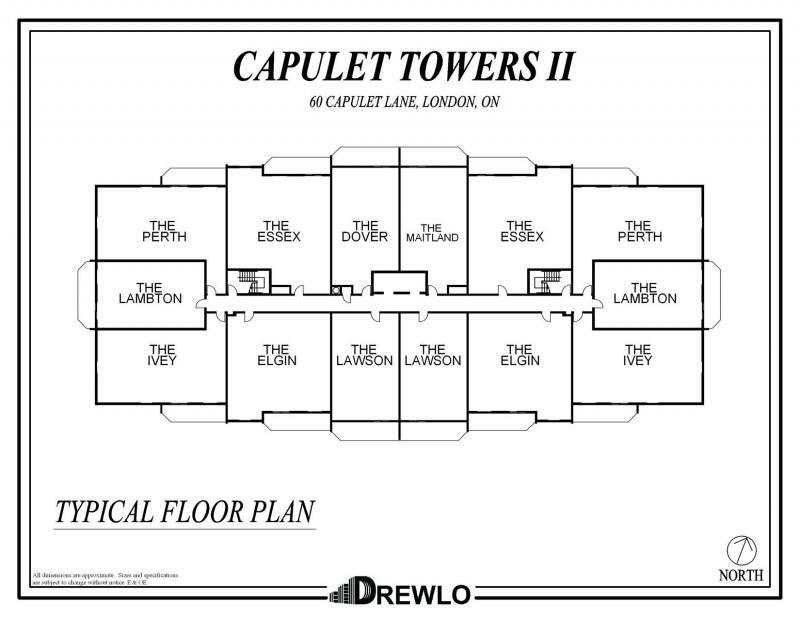 With plenty of space to live and work, and balconies with terrific views of London's cityscape for kicking back on weekends, you always know you've found a comfortable apartment rental with Drewlo's high standard for quality living.